Food and Wine Magazine March 1996. Vegetable Chips on the Cover. Articles inside include Cooking with Wine, Five Layer Cakes, Comfort Food Favorites, Saigon, Texas, Low-Fat Snacking, Tequila and more. Filled with great Photographs and advertising. Magazine is complete and in very good condition, slight wear at edges and spine. 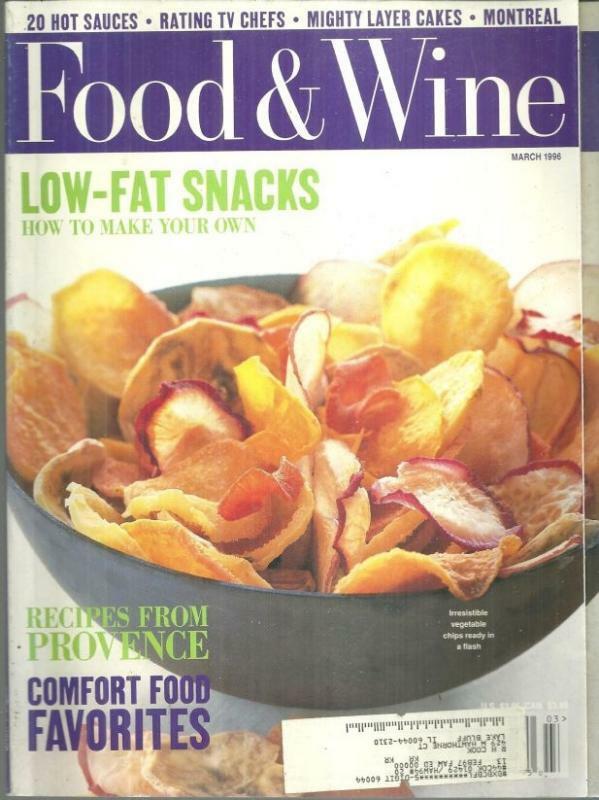 Items Similar To "Food and Wine Magazine March 1996 Low-Fat Snacking on the Cover, ..."